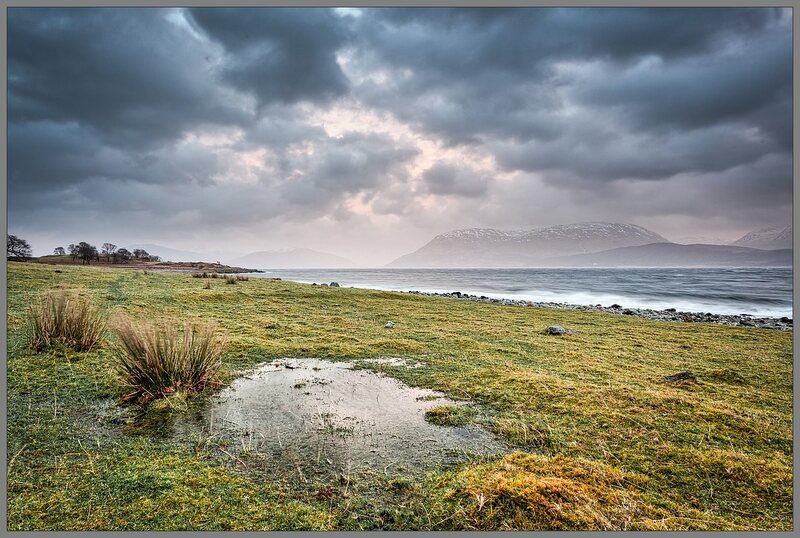 More shots in the Lochaber area on Scotland’s north-west coast. I took the opportunity while shooting around the Inverness-shire and Ross & Cromarty areas of Scotland to climb to to the source of the River Ness. Lying in the shadow of the UK highest mountain, Ben Nevis, its river begins high up too. The water flows from the source and tumbles over a cliff to form the Steall Waterfall. As well as creating lots of new frames of this fantastic piece of wilderness, I made an interactive panorama for fun. It spins, magnifies and if you click the full-screen button enlarges the view. I will post more imagery from this trip, but this was one image that I liked with the side-lit tree and composition in front of the waterfall and growing from the bank of the river. Water being essential for growing. Here is a map of where the panorama was photographed – the centre.